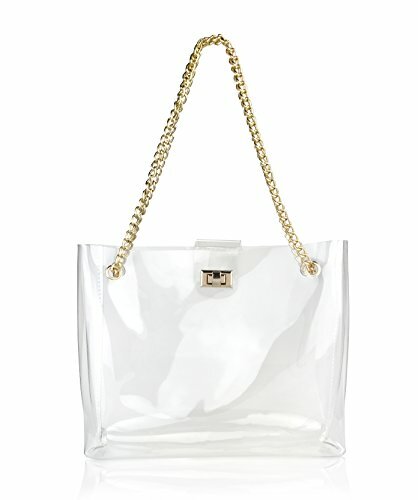 The Amazing Clear tote, featuring chain straps for a modern edge. Expertly crafted in sturdy PVC material,see through designs make security checks easily . while the convertible strap lets you wear the bag as a crossbody or Shoulder for multiple hands-free wear options. *Package: Individual Polybag or Box Packed. Notice: Please allowed slight colour deviation due to different displays. If you have any questions about this product by Hoxis, contact us by completing and submitting the form below. If you are looking for a specif part number, please include it with your message.